We need to get some things off our chest. 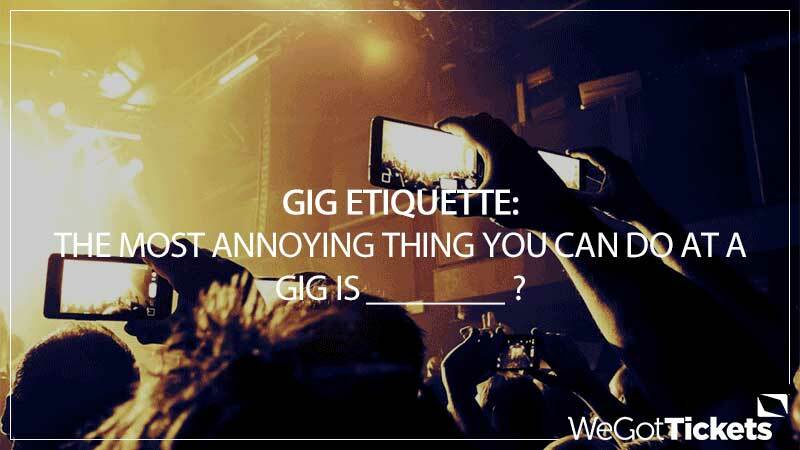 Some people just do not know how to act at a show, and so we recently asked our followers on Twitter and Facebook what the most annoying thing you can do at a gig is, and here we round up the responses along with our own thoughts. You’re pleased to be at the gig, we get it. 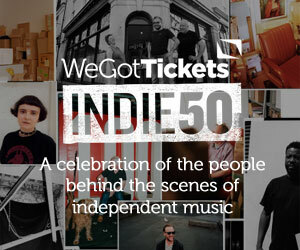 The way the world works now, in this age of social media, you probably want to let people know you’re at the gig too – but please do it responsibly. “Check in” or post a simple tweet or Facebook status; everyone else at the gig will be delighted not to have you looning around in front of them trying to get the perfect shot of your face with the band in the background. Seriously? Come on. Enjoy the moment, the incredible live experience in front of you. Don’t watch it through your phone (or, worse, your giant bloody iPad). You ruin your experience of the gig, and everyone else’s too as they won’t be able to see for the sea of screens held aloft in front of them. You’re just asking for someone to throw their shoe and knock it out of your hand (something I have actually witnessed!). How long are you planning on staying? Beer is for drinking, you idiot. Drink that beer, enjoy that beer, then buy another beer and drink that. Don’t throw it across the crowd and soak your fellow gig-goers in sticky liquid. Having said that, if the beer thrower in this video hadn’t lobbed their plastic cup toward John Coffey singer David Achter de Molen, we would have been deprived of one of the greatest YouTube clips ever… so, a grey area, perhaps. This one might be controversial, and maybe we are being particularly stingy here, but screaming requests between songs is just plain annoying. Not to mention it’s not going to work; 99% of bands know exactly what they’re going to play and in what order, and however much you want to see that obscure b-side you liked so much, they aren’t going to deviate from the setlist. You’re tall and you can’t empathise with the feeling of having someone block your view but trust us, not being able to see because some lanky prick has pushed their way in front of you is so frustrating! I know the tallest person in the room shouldn’t have to stand at the back just because they’ve got Basketball-playing genes, but be considerate about where you plant your size 13 feet. Music may well be the food of love but for the love of your fellow gig-goer, save the make-out session for the sofa back at yours, yeah? 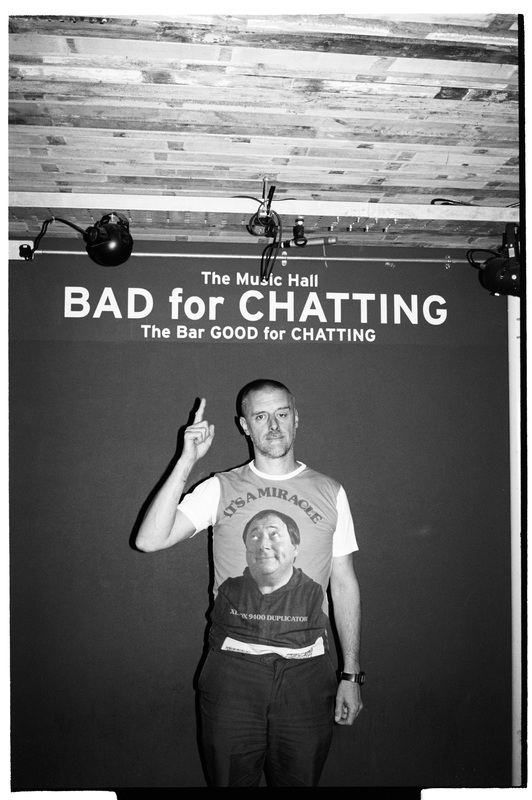 Jules Bigg of the Ramsgate Music Hall and a member of the inaugural INDIE50, pictured below, got so irritated by people chatting during the gigs at his venue that he painted “The Music Hall Bad For Chatting, The Bar Good For Chatting” on the wall. Amen to that. For more like this follow @SGEndersby on Twitter.